I can't bake to save my life but it's a skill I desperately wish I had. I watch the fantastic Great British Bake Off and always feel envious of the baker's talent, artistic flair and most importantly patience. Instagram is a haven of amazing baking and cooking, and I find myself mesmerised by the unbelievable creations. 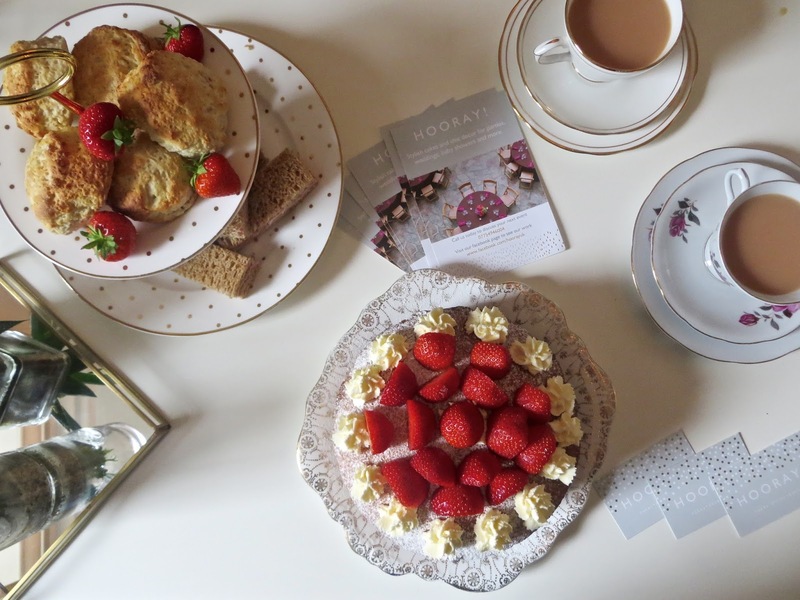 I sat down with lovely Rachel of Hooray Cakes, a Musselburgh based baker and event styler who has put together the most gorgeous afternoon tea for us to enjoy while we chat. You could not find a better host. To be honest, Rachel is the kind of girl who could pull off a themed dinner party for 10 in under 2 hours notice, there seems to be nothing she can't turn her hand to. 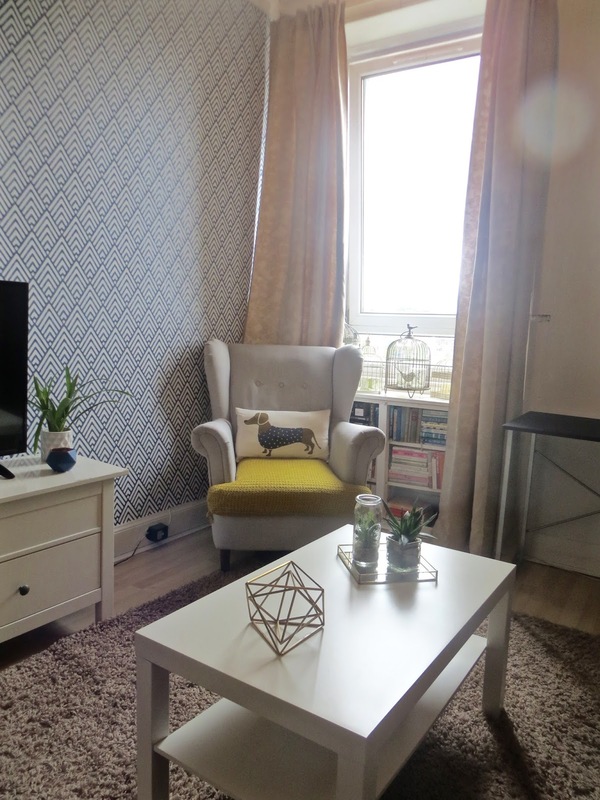 Rachel's flat itself is absolutely gorgeous (I'll insert some pictures below) and I honestly spent a good fraction of our afternoon together pointing at things in her house and asking - where did you get that? The best thing about her beautiful home is how thriftily she has done it up. She begins to tell me all the crafting and DIY she has been up to in order to get the beautiful space looking so great. The girl is beyond creative and makes all the upcycling and styling she does look so easy - and I am positive it is not. So on to the best bit of Hooray Cakes, the cake! 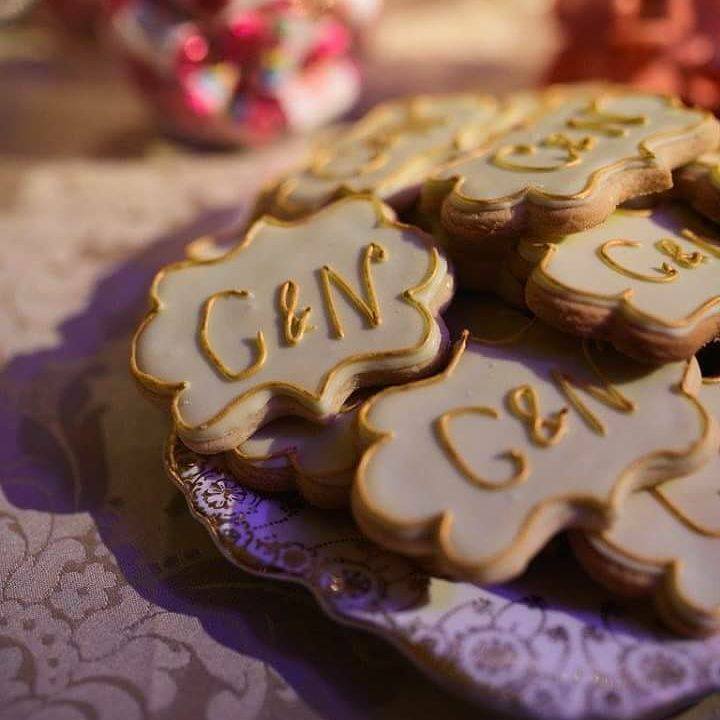 Rachel started the business back in 2011 after picking up some tips from a friend and soon became the go-to girl for anything sweet and delicious when celebrating. Hooray Cakes does everything from birthdays, weddings, festively themed delights and the lightest, most delicious cupcakes I have ever tasted, the perfect weekend treat. I ask her where she got her baking talents from, expecting her to tell me of her mum or grandma's love for baking, but it's something she has learnt and perfected herself over the years. 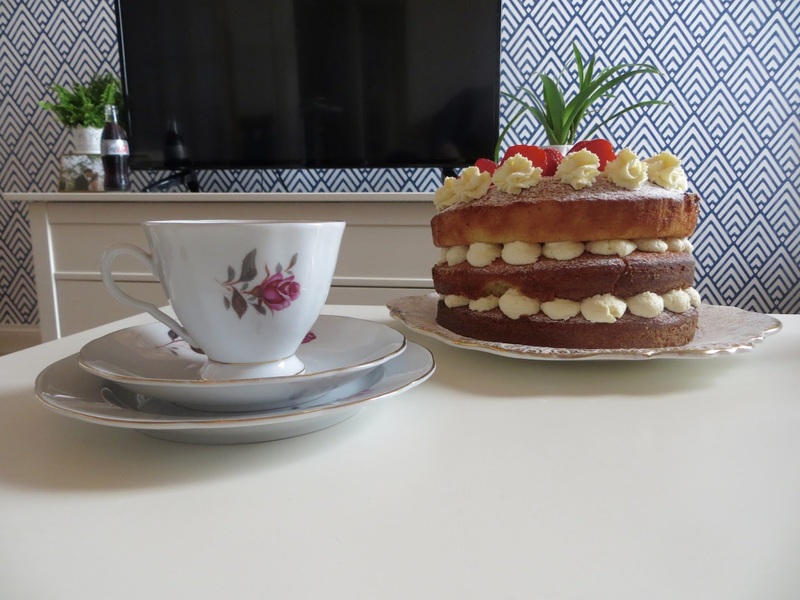 Rachel tells me about her tried and true vanilla sponge recipe which she has practised and has now perfected. If you are in the Musselburgh area Rachel often sells the cupcakes in the most decadent and delicious flavours at the local market. We also talk wedding cakes and why people insist on having the traditional but very unappetising fruitcake as part of the cake. We agree that she should just take the fruitcake off her menu altogether. 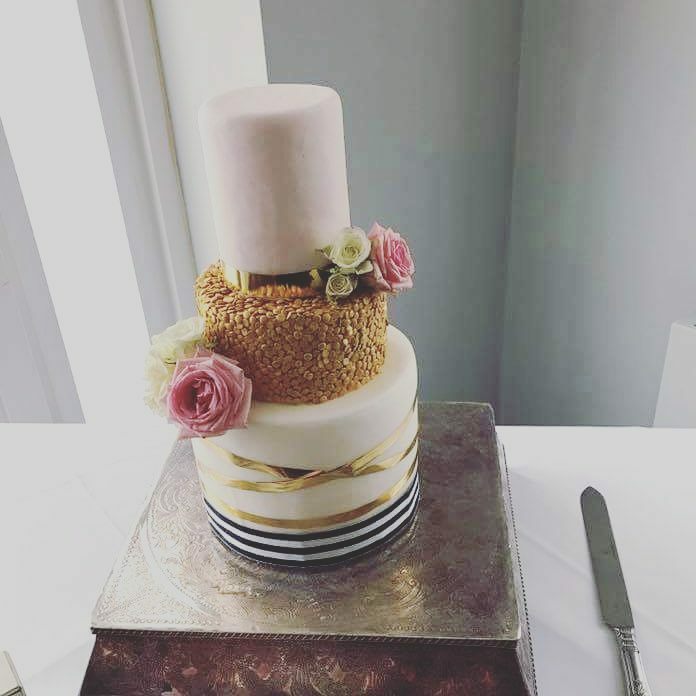 She shares the secrets of prop cakes and how to cut costs, you can have the most decadent cardboard cake that looks incredible and that it is way more common than you think. Not only does Rachel make the most delicious and beautiful looking cakes I have ever seen but she also has all of the loveliest equipment, boxes, bags, ribbons and thrills to go with them. When I ask her where she orders all this from, I can't believe it when she tells me it's a mix of Home Bargains and eBay. 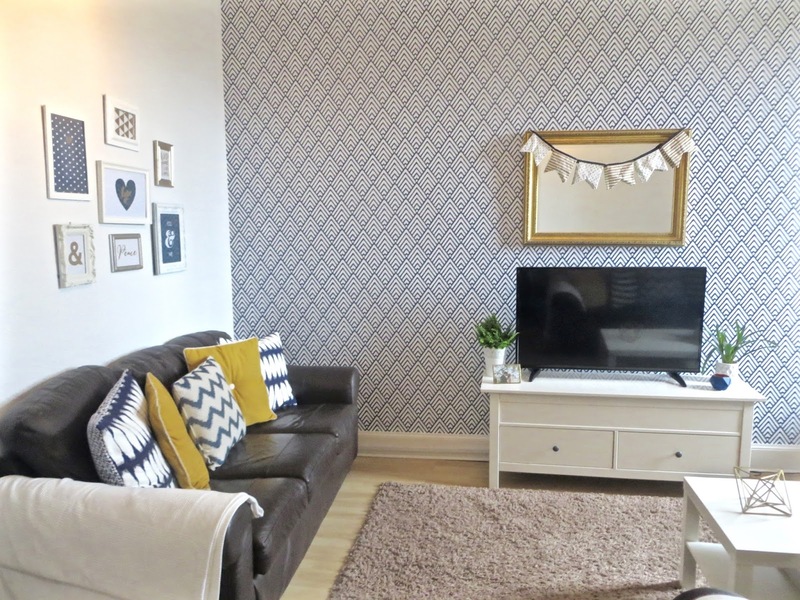 Rachel is the kind of person that finds beautiful, vintage furniture in charity shops and all of her tea sets and cake stands are a mix of bargains and gifts that she has collected along the way. Hooray Cakes is an amazing passion project that Rachel runs by herself between working full-time, volunteering and a host of other activities. The amount this girl gets done in a day makes me dizzy, I don't know how she isn't exhausted by the end of the week. I think a lot of the time we are put off trying something or giving a business idea a go because we don't think we have the money or resources. Rachel is the perfect example of how imagination and a great work ethic is all you need to do what you love. The intricate detail and creativity she puts into all of her work is so admirable and inspirational. When celebrating a special occasion, attention to detail is so important and Rachel has that one amazing talent of knowing just how to add the finishing touches.